The director of holidays letting company CLC Leisure has said he is convinced that there won't be a significant drop in the number of Britons travelling abroad this year. 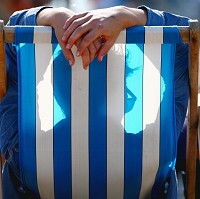 Laurence Hicks said 2012 will not be "the great staycation summer". He said: "It's not going to happen. Prices for holidays in popular sunshine destinations like Spain and Turkey are just too good. "The main motivation for a staycation is budgetary and holidaymakers can get a far better deal abroad this summer, even factoring in the return airfare. And if that's not enough incentive, travellers have told us that this year's lousy weather tips the balance." However, Britons looking for a cheap deal abroad should not save on holiday essentials such as travel insurance. Mr Hicks added that visitors coming to the UK for the Olympics will also be interested in seeing some of the other attractions the UK has to offer. He said: "They are not just going to turn around and go home. Most seem to want to extend their stay between three and seven days."